Have a friend who's getting married and they're in over their head? When planning a wedding, a bride and a groom will sink a lot of money into the ceremony for a variety of things: the church, the reception hall, the caterer, the flowers, the cake… Give them some help and point them towards HitWeddings.com. This website has the whole wedding thing broken down in segments which make it more manageable. 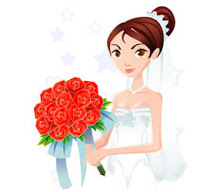 You can read dozens of insightful articles on making the wedding planning process smooth. The site even features a blog on Wedding Planning where you can comment and get feedback on individual posts. It's like your very own virtual wedding planners --- but for free.